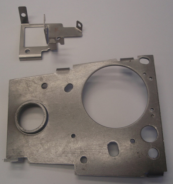 Stamping parts are produced both for our manufactured products and for external customers. We process stainless and aluminum sheets or coils. 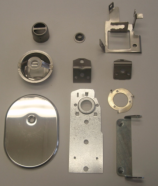 We also produce deep-drawing parts on hydraulic presses. For stamping parts we offer their further processing such as spot welding, degreasing, tumbling or anodizing of parts made of aluminum sheets.